While it’s often discussed and treated as a luxury, sleep is a necessity – and you’re likely not getting enough. The body doesn’t “get used to” or adapt to little sleep. In fact, denying yourself at least seven hours each night can have some adverse health effects. Being able to fall asleep and stay asleep has a lot to do with the hours leading up to laying your head down. It all starts with being aware of what could be interrupting your sleep. Think about the things you do, use and consume. 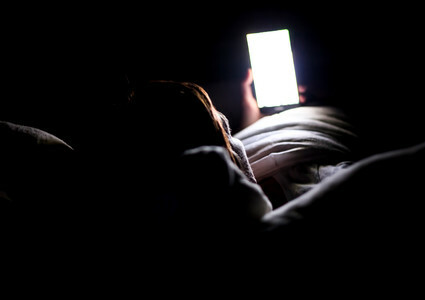 You may not realize how many ways you're sabotaging your good-night's-sleep efforts. • Do I often reach for an afternoon coffee, tea or soda? • Am I exercising, watching TV or on my phone too close to bedtime? • Am I a smoker? • Do I typically wind down with wine, beer or another alcoholic beverage? If you struggle with sleep and answered yes to any of the above questions, you may need to consider changing up your normal routine or even quitting some of your daily habits. Making changes to improve your quality of sleep often ends up improving your overall health. Over-the-counter sleep aids may be a reasonable choice for a young, healthy person seeking short-term relief, but for most peole, medication of any kind is not the answer to better sleep. And out of all the sleeping pills available, there are two in particular that come with serious side effects. Diphenhydramine is an antihistamine that’s frequently packaged in sleep supplements. There’s concern with elderly patients taking it because of its anticholinergic effect, meaning it blocks acetylcholine. The body produces acetylcholine, which functions as a neurotransmitter. 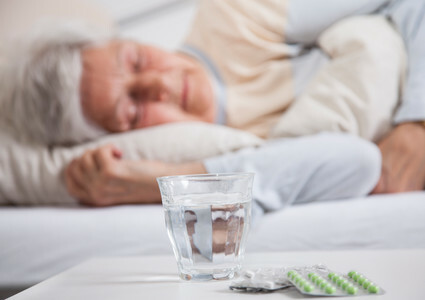 In elderly patients, anticholinergics have been shown to increase the risk of dementia. Sedative-hypnotics target certain neurotransmitters and suppress the central nervous system. They can impair people the same way alcohol does. In fact, studies have shown that the use of sedative-hypnotics is tied to an increased risk of motor vehicle accidents and premature death. Even if you take the medication at bedtime and get a full night’s rest (seven to nine hours), you cannot be guaranteed that the medication will have completely worn off by the time you wake up and start your day. 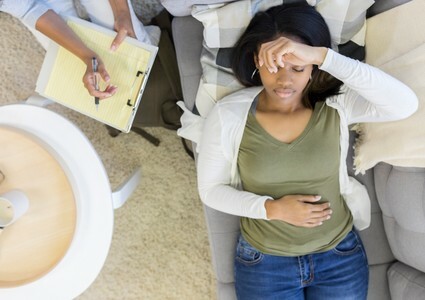 If you suffer from chronic persistent insomnia, the most effective risk-free treatment is cognitive behavioral therapy (CBT). It’s a type of psychotherapy that identifies what fuels a person’s emotions or behaviors and trains the brain to be able calm down and fall asleep faster. The goal for anyone struggling with sleep is to develop good sleep hygiene: following a regular routine and schedule. Medication won’t necessarily help you achieve that, and again, it comes with a lot of “baggage” in terms of side effects. If simpler measures are not helping you sleep, you could have a more serious health problem and should seek medical attention. Remember: By making sleep a priority, you’re doing the same for your health.